Let’s get the plot out of the way now. Spoilers galore to follow! The film opens with prodigal son and all round wet blanket Vikram (Navin Nischol) returning from five years abroad. He immediately sets about telling his stepmother and sister how to dress, accessorise and generally live their lives, demanding his inheritance and insisting on some social justice in the village. Before Vikram turned up stepmother Sulochana (the shamelessly over the top Shyama) was busily squandering the family fortune on booze and wigs. They host extravagant entertainments, and despite their reluctance to welcome Vikram home, it provides an excellent excuse for another party, fab new outfits, hairdos and a great dance number. So Sulochana has him killed (the old time bomb in the car trick). 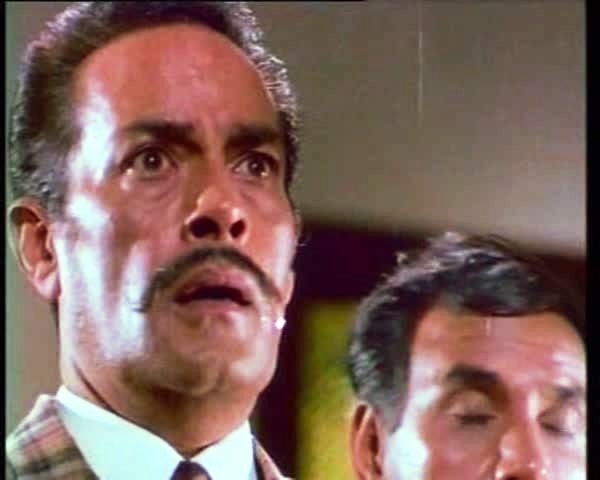 You can imagine her surprise when he returns from the dead to once again claim his inheritance and thwart Shyama’s goal of owning more wigs than Dolly Parton and and Rajnikanth combined. Naturally, she has him killed (the old thermos full of poisoned milk trick). But does he die? By this time it is no surprise at all to find out Vikram is alive and well (unlike his stepmother!). So that’s it really. All’s well that ends well. The fun, as usual, is in how we get to the clifftop denouement and what people wore along the way. Rekha looks so young and almost unrecognisable in this film. 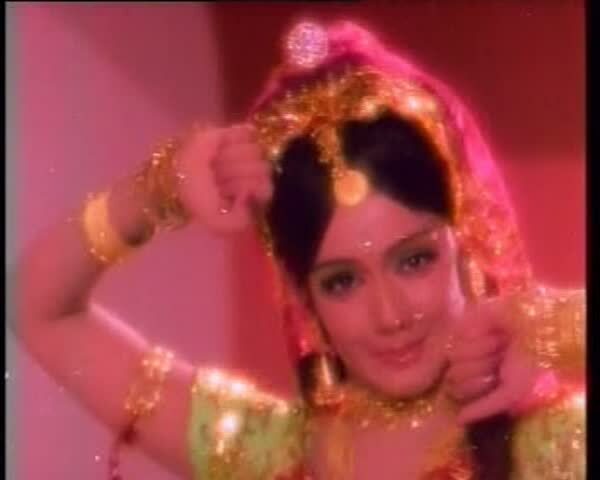 She is Chanda, who enters the film rescuing Vikram from local thugs, a gang including her brother played by a subdued Ranjeet. Chanda is essentially a good girl who knows what society expects of her and her class, but she is no pushover. She is feisty, opinionated and brash. And of course she falls for Vikram, the wealthy landlord. Their romance is sweet, clandestine, a bit silly and never sleazy. Her mother supports Chanda in refusing a proposal from seedy drunk Dabarilal (Vikram’s uncle) and Chanda knows she will not be sold to the highest bidder. Unlike so many of her later roles, Rekha is very much the good bad girl. She has an outrageous beehive and emphatic eyeliner, but her colourful saris remain firmly in place. Jayshree plays Dolly – the bad bad girl. Or is she? She is young, beautiful, wealthy and indulged and pretty much does as her mother wants her to do. Just as Chanda is feisty yet essentially conventional, Dolly is glitzy and cheap yet still a little girl at heart. She is being romanced by creepy Madan, who claims to have a cultural dance centre and sponsors touring dance groups. This is all a front of course for his plan to corrupt and ruin as many young ladies as he can, and Dolly’s mother seems perfectly happy with her prospective son-in-law. Their affair is seedy, dishonest and potentially destructive for Dolly as she evades his attempts at seduction. Sulochana approves of the lounge lizard Madan and his flashy lifestyle and doesn’t see the sleaze under the surface. Vikram can’t see anything good in the spoiled little sister he has neglected for years and just wants her to be a biddable child. She is surrounded by people who don’t really value her, and seems to be attracted to anyone who compliments her. 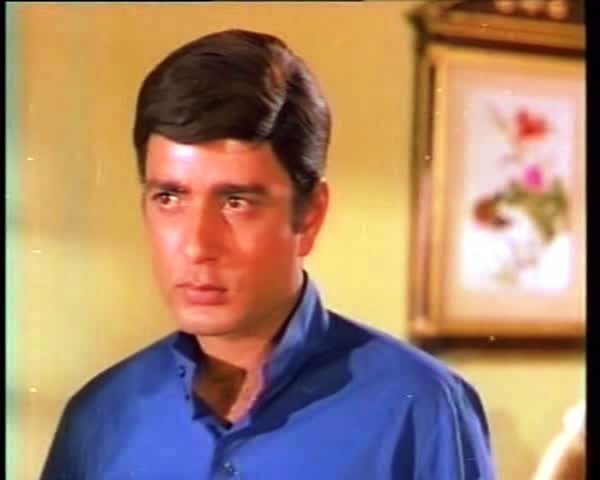 Dolly is selfish but not as malicious as her mother and uncle, and seems to have a revelation towards the end of the film when she wears a much more conservative sari and matching good girl hairdo. The girls provide much of the interest and colour in the film, and their performances are so enjoyable. Their roles remain opposites until the very end of the film. At one stage Rekha and her mum move into the ancestral home and Dolly and her mum are treated like unwanted guests. Their stories seem to be parallel versions of the same girl meets boy tale, and as one character ascends her counterpart faces adversity. 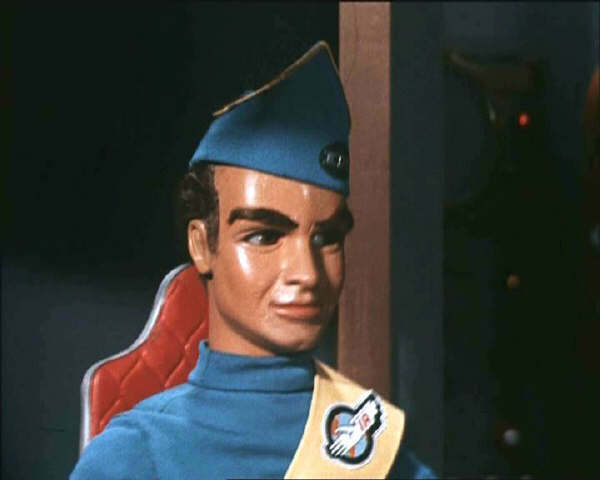 Navin Nischol looks like he modelled for Thunderbirds. He essentially has to play the straight man to all the mad masala spiced characters around him, and he does an adequate job. He is not a flashy dancer, a dashing heart-throb, or a convincing fighter. But he is game for a drag number, and for that we give him massive cheers! Iftekhar is wasted in the support cast. He has nothing to do other than look like a crook, but he does that very well. All the support cast are fine for what little they have to do in this romping murder mystery musical romance. This is a film celebrating sixties fashion, make-up and hairstyles. Dolly and her mother look amazing in their selection of groovy salwars, saris and frocks. The village girls are pure filmi delights with their immaculate grooming and stylish makeup. 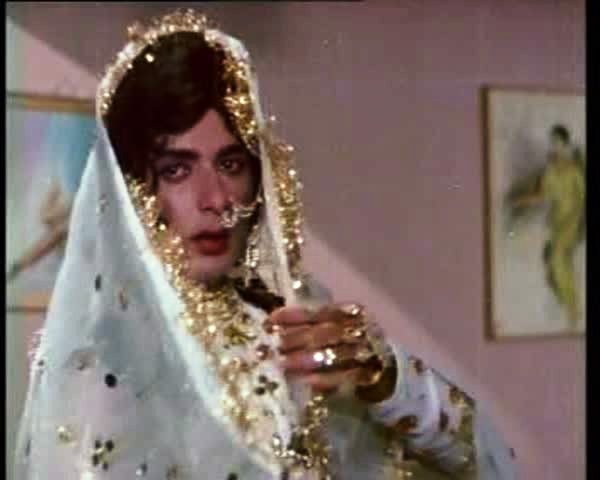 The party scenes give a chance for the wardrobe team to go all out on the bling, and makeup obviously had a field day with the actresses. 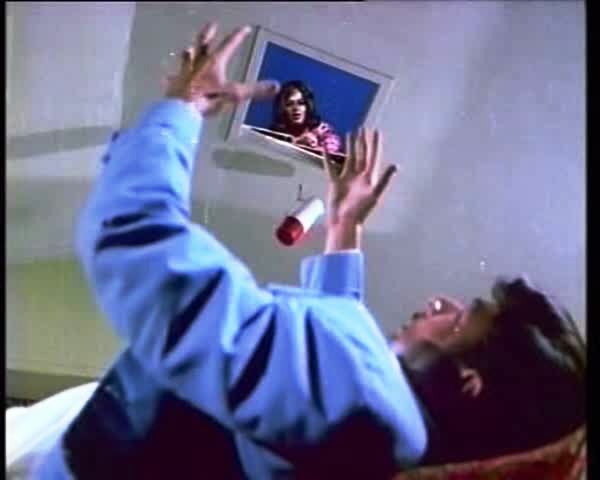 Its fun looking at this film after seeing Endhiran as it really makes Rajni’s wig collection look very restrained indeed. 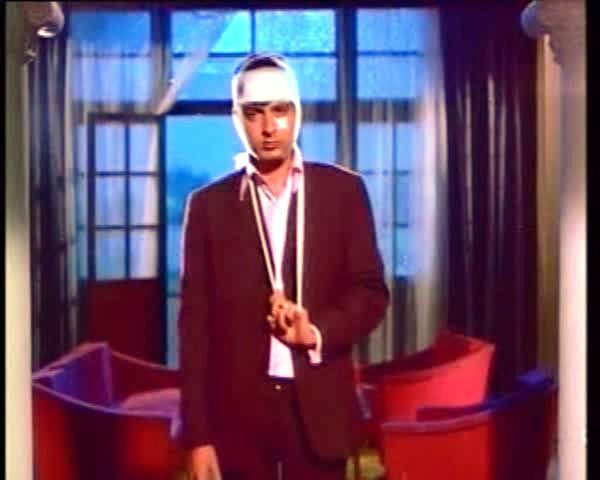 For an excellent review and a wonderful gallery of screencaps, check out Memsaab’s post. The plot is very silly but it did hold our interest mostly due to the likeable cast. The final fight scene just went on and on and on and on….and then it went on again. 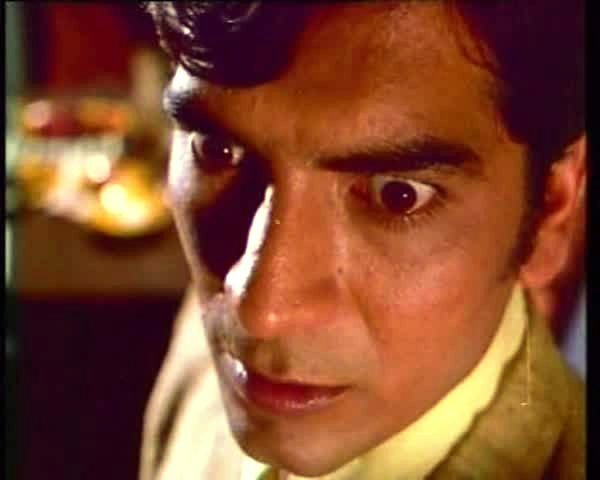 It was a bit too much to have Vikram pop out of a coffin shaped box and start chasing the bad guys, especially when wearing a powder blue polyester suit. There is only so much disbelief we can suspend. The songs are fun and the overall visual design is great. Heather says: Having bought this film solely because of the description on the back of the DVD, I was delighted to find out it was such a fun movie to watch. The fashions and hairstyles are fab and make the film a real visual treat. It certainly lived up to the promise on the cover! Dolly’s antics are hilarious and Vikram seems to be as unstoppable as Cher. The plot makes no sense whatsoever, and yet it’s somehow enthralling – if only to see just how many attempts on his life Vikram can survive. Madan is quite determined in his dedication to Dolly, or rather to her supposed fortune and provides a nice air of sleaze. The film really does belong to the girls though – all play very strong characters which is a lovely change from the more usual hero-centric films of the time. Shyama is fantastic as the women who will let nothing stop her in her quest to own more artificial hair than anyone else. Rekha shines as the village girl, and proves right from the beginning of her career that she sure can act. I love the soundtrack by Sonik Omi and the whole sixties vibe to the film. Such a fun movie – I give this 4 stars. Temple says: I also bought this DVD purely on the strength of the cover and the blurb. It’s so nice to find truth in advertising! Its a very stylish effort, and always a pleasure to watch. The performances are mostly fun, although Navin Nischol will never be the hero of my dreams. Wooden is a kind description. Rekha was lovely and charming in this sympathetic role. I really enjoyed seeing her in such a girly avatar for a change. Shyama was impressively insane in her role and really made an impression. I do like an evil stepmother on film and she was one of the best! 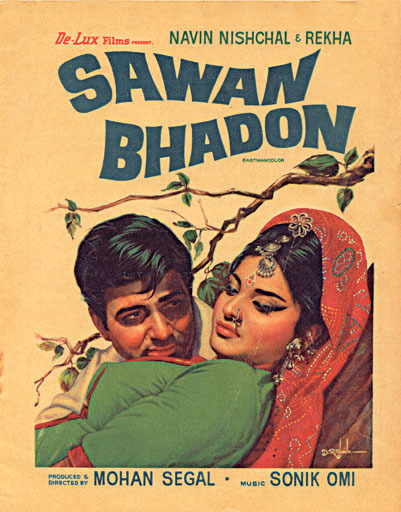 This is the film that taught me the very useful phrase “Yeh Vikram nahin hai!” so it will always be special to me! It’s fun, but ultimately not a stellar example. I give it 3 stars. This entry was posted in Bollywood and tagged Bollywood, Hindi, Iftekhar, Jayshree, Navin Nischol, Rekha, Rekhatober, Shyama. Bookmark the permalink. Apparently I must have thought this sounded good too because it is in my unwatched pile but I have no memories of obtaining it. Hmmm. Any film that is worthy of being compared to a combination of Rajnikanth and Dolly Parton must be watched. Obviously. Yeah, this is very old film I barely remember the stories watch in my childhood.